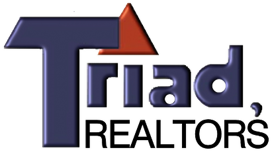 Our goal at Triad Realtors is to provide the best service possible. We appreciate your business and strive to make your transition to renting with us as smooth as possible. If you have seen the inside of a property that is available for rent, please print our application (link below), fill out entirely, and bring it by our office with $30. Call us if you have any questions. If you are new to the area and are looking for information about the Morongo Basin, click the link below and find contact information for local utility companies as well as other community resources. If you are planning on moving out soon, please be sure to give your notice. Notices can be given at the front desk, be sure to come into the office and fill out the proper paperwork. Please refer to your lease agreement on how much notice is needed to be given. If you need a copy of your lease call our office and we can email you a copy.